Going to University opens doors to a multitude of new experiences. Many people are away from home for the first time and can find themselves in vulnerable situations that they had neither anticipated nor previously encountered. As a student, you get to meet many different people... but how well do you really know them? Being familiar with someone may mean that we rely less on our self-protective instincts and depend more on trust. Unfortunately, it is that same trust which makes us vulnerable to date or acquaintance sexual assault. Sexual assault is any unwanted act of a sexual nature, which has been forced upon one person by another. Sexual assault of any kind is a crime, even in marriage or a dating relationship. The prevention of sexual assault is the responsibility of both men and women. Communication is the key factor in the prevention of most sexual assaults. At anytime you have the right to say "no" and be heard. Set boundaries. Let your date know where you stand in a relationship, sexually. Use verbal communications. Don't expect your partner to be able to read your mind. Express your feelings clearly. At the same time, listen carefully to others and respect their boundaries. If you are sexually assaulted, remember that you are not alone and are not to blame. Talk to someone, whether it be a friend, police officer, nurse, doctor, family member, sexual assault crises center, counselor or a hospital sexual assault care coordinator. Sexual assault is very difficult to handle alone. Seek medical attention as soon as possible after the assault. You will want to ensure that you have not received internal injuries or are at risk of an unwanted pregnancy or have contracted a sexual disease, such as VD or AIDS. All of these tests can be conducted at the Sexual Assault Care and Treatment Centre at Guelph General Hospital by medical staff you can trust. You may wish to have a criminal investigation take place. If so, you must inform the police. 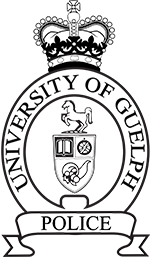 The evidence collected at Guelph General will be crucial to the investigation. Finally, it is important that you seek counseling to help you deal with the emotional impact of the assault. Dealing with sexual assault is difficult enough without dealing with it alone. Don't lose track of who is the victim.